The AGA Dual Control is everything you love about the AGA cooker, but with added flexibility and much reduced running and servicing costs. What's more, the two hotplates can be turned on and off independently. This means you can make a reduction in the overall heat input into the room from the cooker when desired and, in turn, reduce running costs. The boiling plate and simmering plate can be operated at the turn of a switch via the discrete control panel and so are on when you need them and off when you don't. The electric AGA Dual Control ovens feature a low energy setting can also be switched off completely. Available in 3-oven and 5-oven models and in electric, or with gas ovens and electric hotplates. If you like AGA Dual Control, you may also like AGA Total Control. 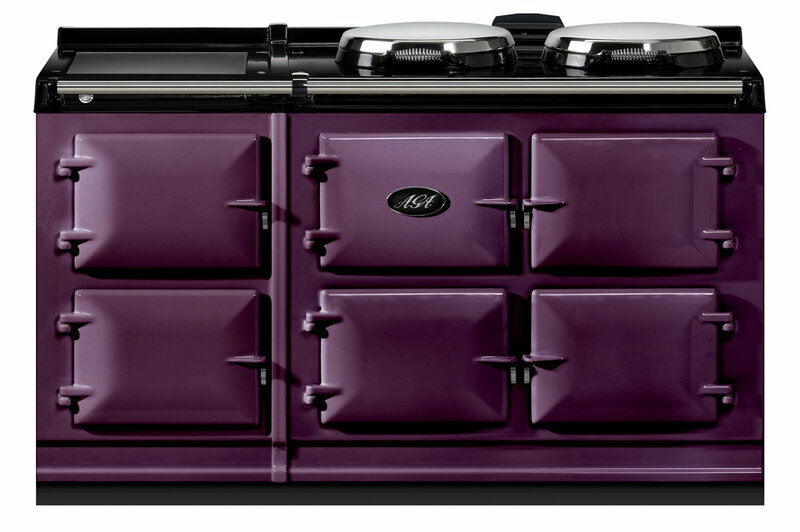 As with all previous heat-storage AGA cookers, the cast-iron ovens are indirectly heated from a single small heat source, the heat being conducted across to each oven in exactly the correct proportions to provide the different cooking temperatures for roasting, baking and simmering. This provides kind-to-food radiant heat which locks in moisture and goodness. All three ovens have a new feature of a low heat setting, reducing the oven temperatures. This in turn gives a reduced heat output into the room and, naturally, a reduction in running costs. From this new low heat setting it is possible to reach full oven cooking heat in around two to four hours. Behind the top left hand door sits a small dial which operates either the boiling plate, the simmering plate or both. In each of the hotplates there is a powerful heating element. The boiling plate will be ready to use in around 11 minutes from cold. The simmering plate will be ready to use in around 8 minutes.